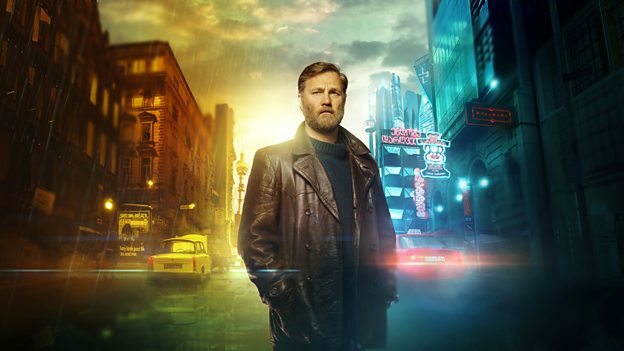 China Mieville's speculative thriller The City & The City was one of my favorite books when it came out in 2009. Now BBC 2 brings it to TV. I can't even imagine how they filmed this to show all the nuances of this amazing book, but I'd love to see the production. Hope we get this in the U.S. soon. Broadcast in the UK begins this week. Thanks to Ali Karim for the heads-up. Tony Grisoni (The Young Pope, Southcliffe, The Red Riding Trilogy) has adapted this four-part genre-busting thriller from one of Britain’s foremost fantasy writers in a production made by Mammoth Screen and directed by Tom Shankland (Les Misérables, House of Cards,The Missing). The City & The City was filmed on location in Manchester and Liverpool.